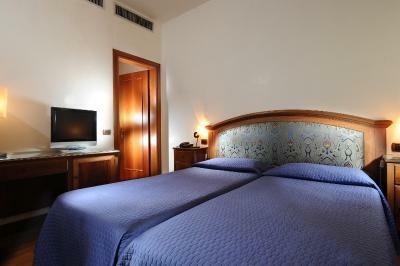 Lock in a great price for Hotel Abbazia – rated 8.8 by recent guests! The staff was very friendly and helpful. 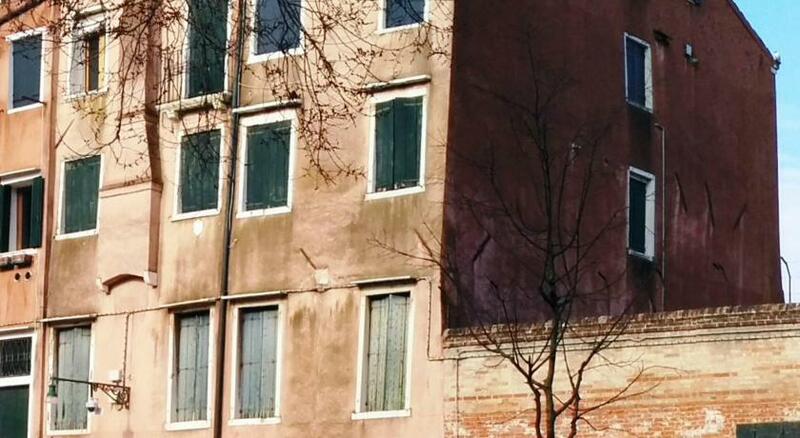 The location was very convenient, close to the train station and that's a hugh plus in Venice! The garden was beautiful and the location was perfect for our needs! Staff was friendly and helpful. 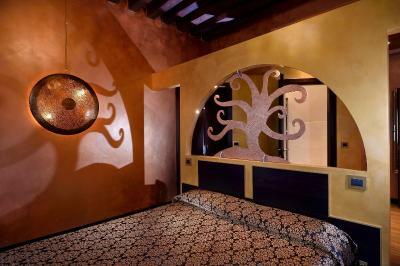 The staff were helpful and accommodating. The hotel room was wonderful. 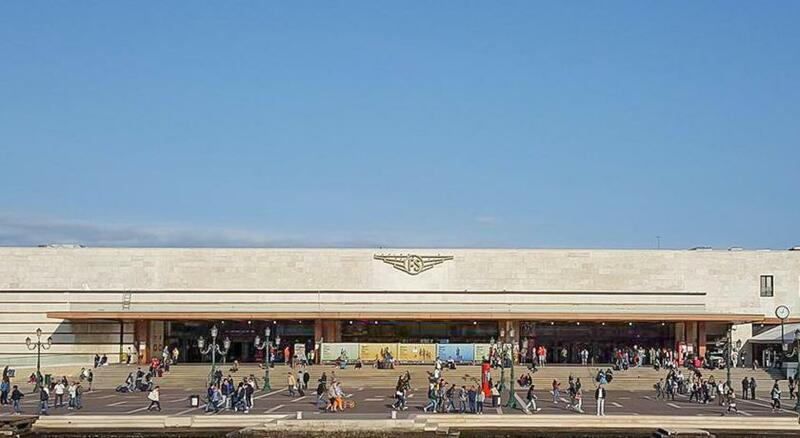 The location was very close to the train station. The friendly, welcoming and helpful multi-lingual concierge staff offer efficient check-in/out as well as answer any questions you might have. The old abbey is beautifully restored with an atmospheric sitting area, original frescoes and woodwork, and a large garden area for sitting/eating during warmer months (definitely not in December!). 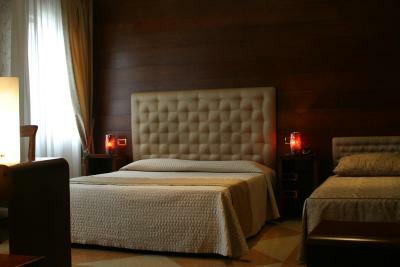 The bed was comfortable and the bathroom well-equipped with amenities including a towel warming rack. The breakfast room was large and comfy with ample seating and a bounteous selection of items both sweet/savory as well as hot/cold beverages. The hotel is conveniently located steps from S. Lucia train station as well as a 10 minute walk to the Guglie airport water bus stop. 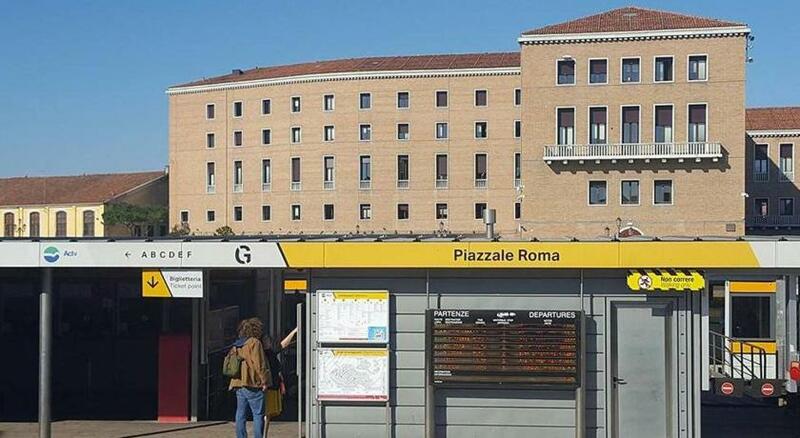 Great location right by the train station with plenty of places to eat nearby. Breakfast was fantastic and the courtyard was beautiful, especially with all the Christmas decor they had around the hotel. Very friendly staff and a very convenient location. 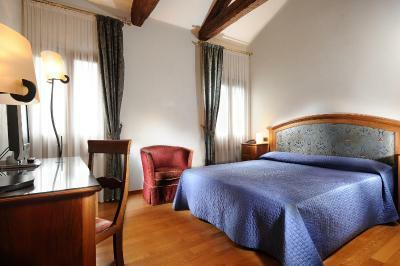 Abbazia hotel concierge "Alvise" was extremely helpful and the rest of the staff was delightful as well. The hotel is very quiet and relaxing and I would highly recommend it., It is very convenient to all of the sites and transportation hubs. 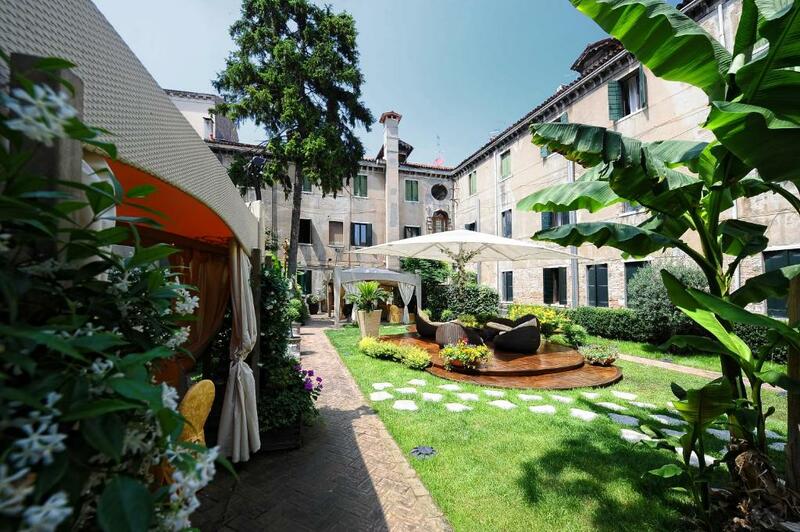 Hotel Abbazia This rating is a reflection of how the property compares to the industry standard when it comes to price, facilities and services available. It's based on a self-evaluation by the property. Use this rating to help choose your stay! 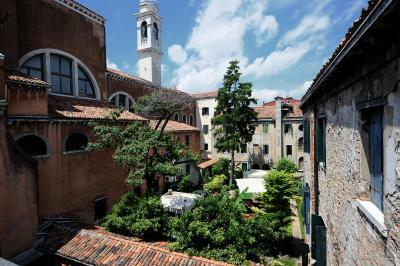 One of our top picks in Venice.A restored monastery, Hotel Abbazia is in the quiet Cannaregio district of Venice, 300 feet from Santa Lucia Train Station. 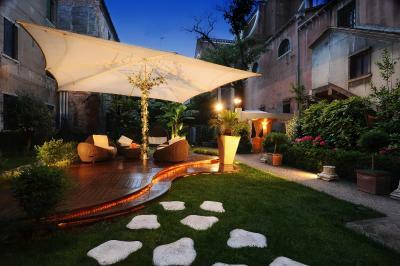 The hotel features a large courtyard garden with bar. 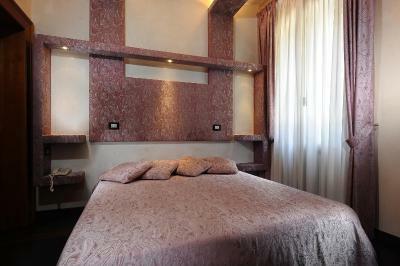 The Abbazia's classic rooms all have modern bathroom and include a minibar and satellite TV. Free Wi-Fi internet access is available in the entire hotel. A varied breakfast is served on the grounds during the summer, and breakfast room service is also available. The bar and lounge area are in the monks’ original wood-paneled dining hall. 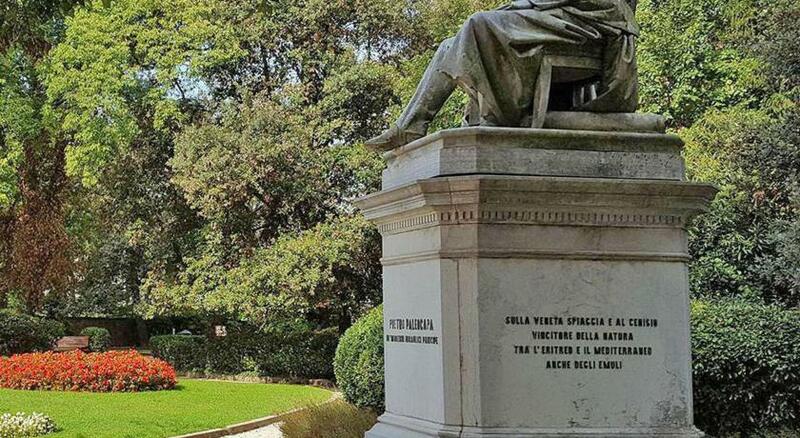 St. Mark’s Square is one mile from the hotel and can be reached by foot or by Vaporetto (water bus). 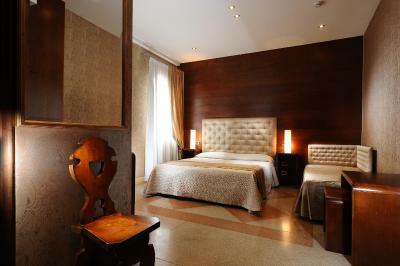 The nearest Vaporetto stop to the hotel is Ferrovia, a 5-minute walk away. 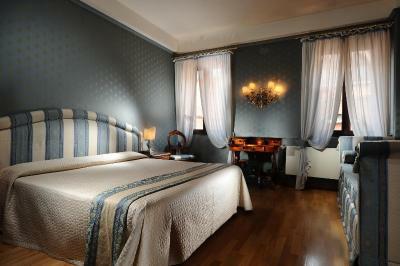 When would you like to stay at Hotel Abbazia? 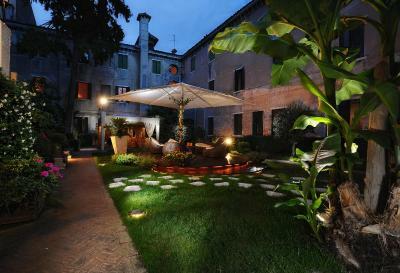 House Rules Hotel Abbazia takes special requests – add in the next step! 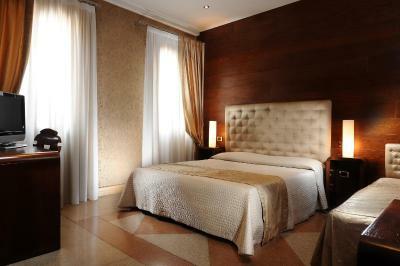 Hotel Abbazia accepts these cards and reserves the right to temporarily hold an amount prior to arrival. Excceeded my expectations with the hotel deco and cleanliness of the room. Staff were also friendly. When our room was being clean our son had his ear buds stolen and the safe did not work. Front desk folks were very nice. 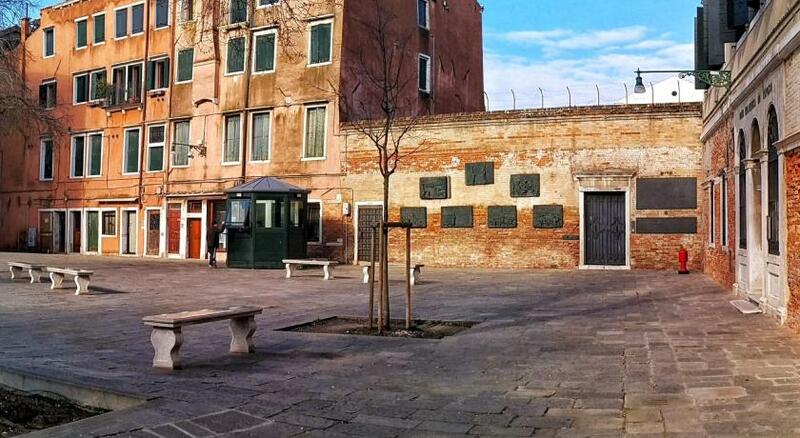 The Location was fantastic and made for a very easy visit to Venice. The hotel greatly exceeded out expectations and also the outside does not do the inside justice, a boutique and fantastic hotel. Thanks to all the staff for the warm welcom, great fun and fond farewell. The beds were a bit stiff which was hard on our backs after days of walking. There was nothing negative about our stay. Would appreciate a chair in the room, shelves for toiletries in the bathroom and the two showers in the bathroom mounted at a height more suitable for a 5'7'' women (they were way up higher) and in addition, due to malfunctioning, abundantly sprinkled sideways. Am a second time guest of this hotel at the time of the Carnival. Location is perfect. 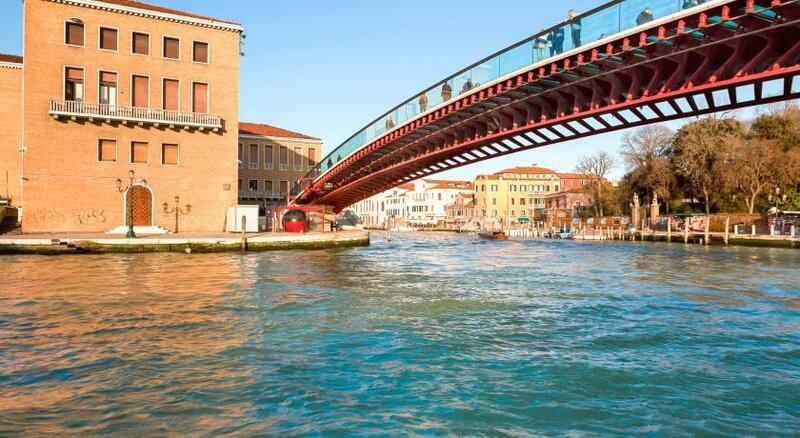 in immediate vicinity of the vaporetto stop Ferrovia, the ferrovia S. Lucia itself, a great restaurant "Roma" with a terrace along the very Canal Grande and a SPAR supermarket. Still, peace and quiet reign in it, in the midst of the crowded, busy area. Has a beautiful patio in between wards. Charming, vast lounge with the armchairs and the wooden panels on walls, kept in its original appearance from the time the building was a monastery (with a little "balcony" up above from where the sermon was probably being delivered). An exquisite quality of coffee is being served there. The reception staff allowed both me and my daughter and her husband half an hour extention of the checking out period, by keeping an eye on our bags in the lobby. 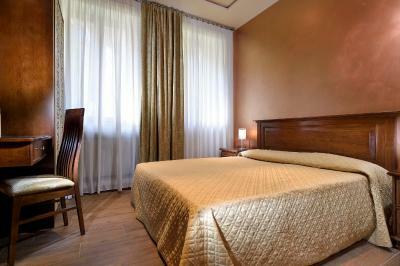 A guest should not be fooled that a room cannot be blacked out! 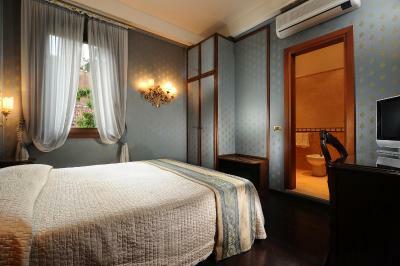 Yes, it can as it has traditional Medditerranean shutters and not the black out curtains. As newly wedds, my daughter and son in law were assigned a wonderful, special room with the lovely interior design and a beautiful view of the patio-garden. 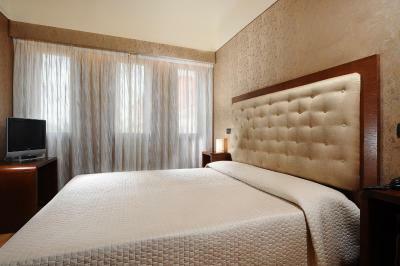 The bed was not so comfortable,and it would be better if it was a king size bed instead of two singles.. 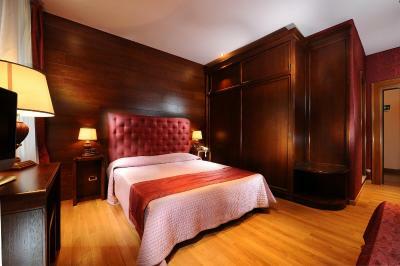 Location very close to train station, only 5 mins walk. 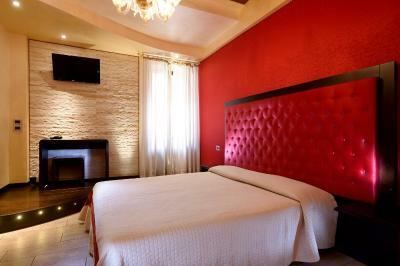 The room is big, clean and comfortable. For the breakfast, choice is not that much but still good. Very friendly staffs and front desk reception. During afternoon, hotel also provided free snack and coffee tea.